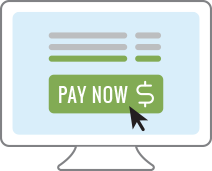 Your staff is manually processing the majority of your customers’ payments, and it’s costing you time and money. Globys allows customers to pay electronically while automating straight-through processing (STP) for you. Your customers get more convenient payment options and you get optimized operations. Online payment using credit card or bank accounts allows anytime, anywhere payment. Payment of multiple bills with single payment to streamline processing. Scheduled recurring payment aligned to billing cycles and customer preferences. Security and entitlement to ensure only authorized users are able to manage and use payment methods. Customer-defined hierarchies to organize and pay groups of bills according to preferences. Customer-specified remittance advice for payments made through alternate channels. Supplier-defined limits for amounts using various payment methods to control processing fees. Straight-through processing of remittance for each individual bill, eliminating manual reconciliation.